Stuffing your suitcase with a bunch of clothes before a trip can be messy. Also keeping your suitcase organized during a trip is hard if you're trying going to multiple cities. If you want to keep your suitcase organized during an upcoming vacation, you might want to look into buying packing cubes! Packing cubes are lightweight bags of various sizes, often with a see-through mesh window, that can be used to stuff your travel items into organized sections in your suitcase or backpack. I found about packing cubes by watching multiple YouTube videos. I bought eBag packing cubes for my upcoming Euro trip. Im not an organized person whatsoever. But traveling for a month and living out my suitcase, I thought packing cubes would be an excellent way to pack efficiently. Is it worth buying? Yes. 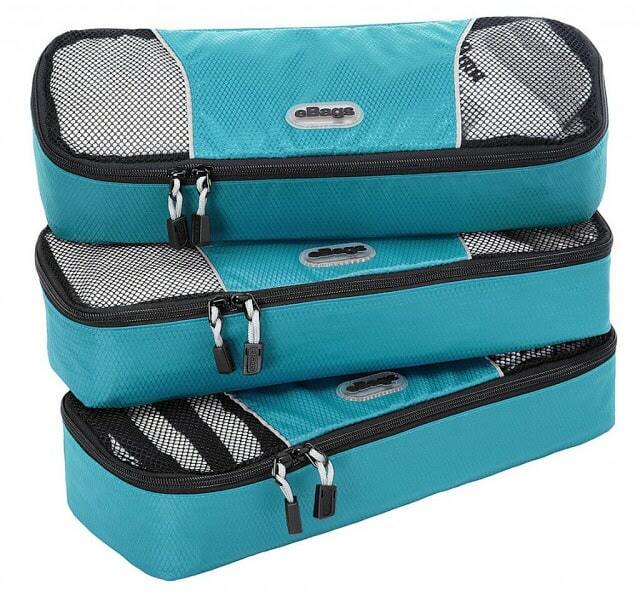 Packing cubes come in a variety different colors and sizes that make it super easy to keep clean and dirty clothes separated, store shoes, camera gear, accessories, and etc! Do you use packing cubes? If so, do you find them useful?